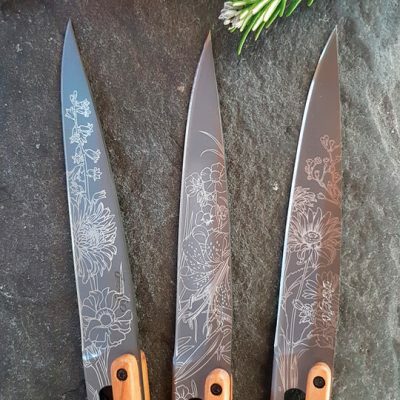 This set of 4 table knives beautifully reveal their timeless geometric patterns with a perfect design fusion of tradition and modernity, A superior combination of razor edge sharpness together with French elegance, these Deejo knives are the quintessential addition to your dinner table. Read more about Deejo here. Approximate flat rate shipping fee of $15 Australia wide on all orders made from Samsera Concepts. Accurate shipping costs will be calculated at checkout. Currently only shipping Australia wide. We have a 3 business day order process from when the order is received before shipping from our warehouse in Western Australia. Please allow up to 5 business days for receipt of your order. Refund and exchange policy: Lifetime guarantee, must be used in accordance with instructions and not used for any other purpose than designed for. 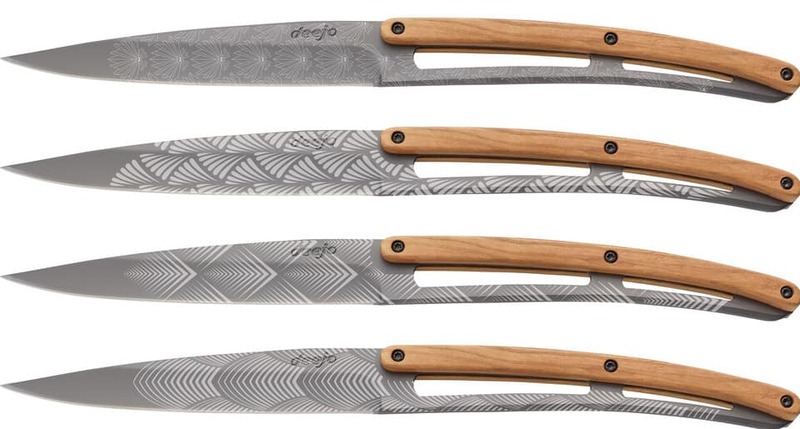 We will replace any knife that is faulty, knife to be returned to WA warehouse. 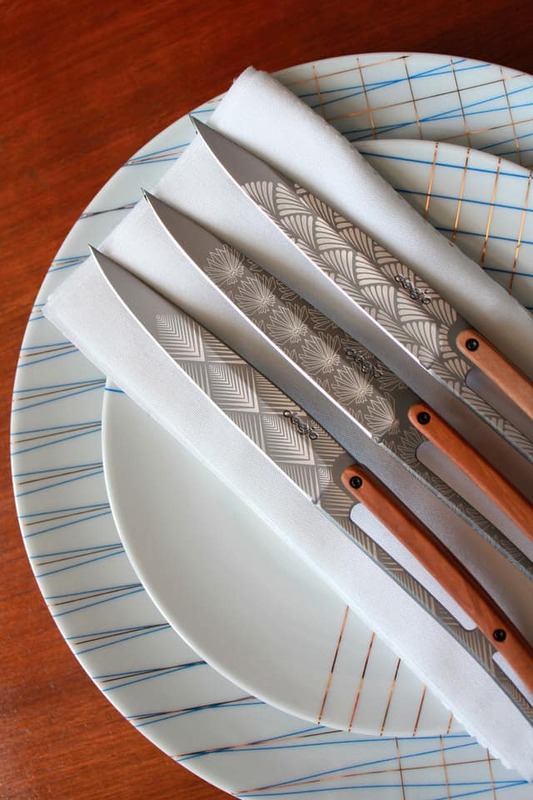 Please note that knives are not dishwasher safe and are to be hand washed and dried only. Do not soak timber handles. Do not leave to dry.